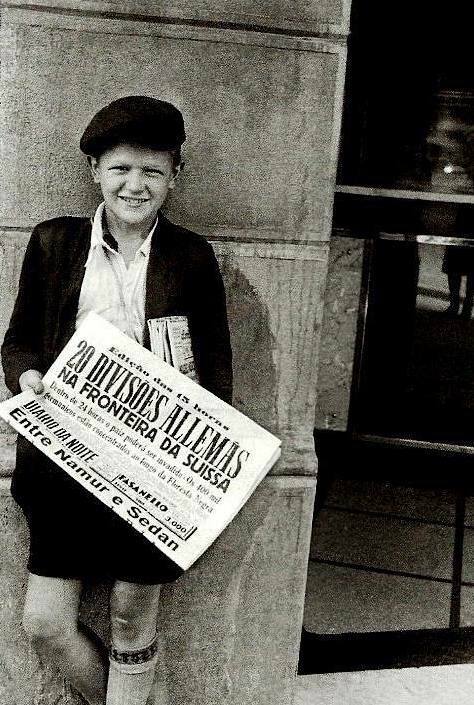 a boy sells a copy of evening paper 'Diario da Noite' circa 1939. 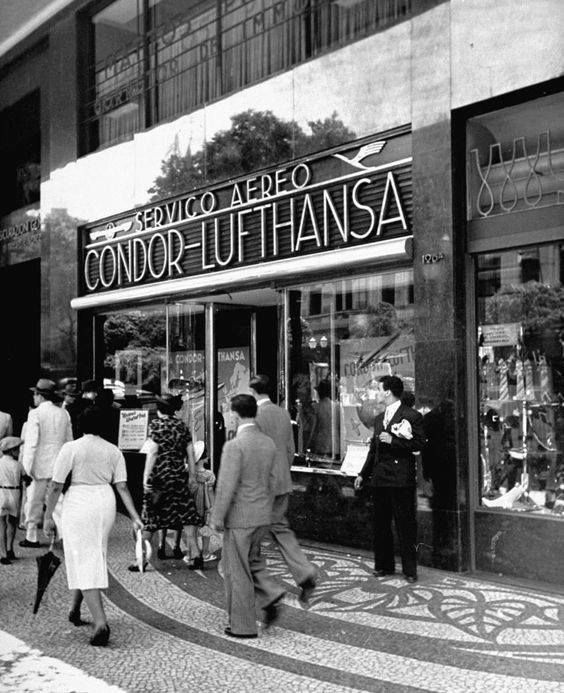 Luftansa's office in Sao Paulo in 1939 just a short time before WWII. 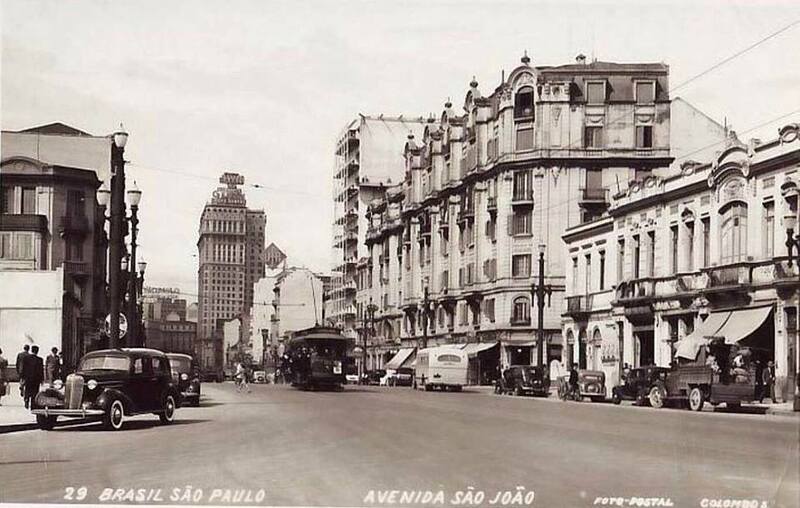 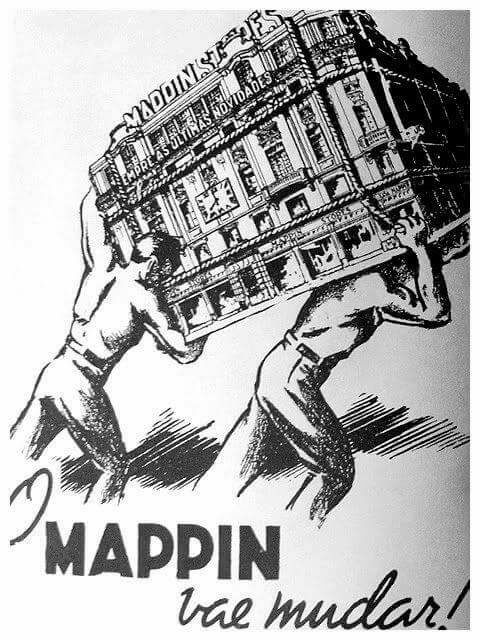 Mappin Stores moves from Praça do Patriarca crossing Viaducto do Cha to be located in front of Theatre Municipal. 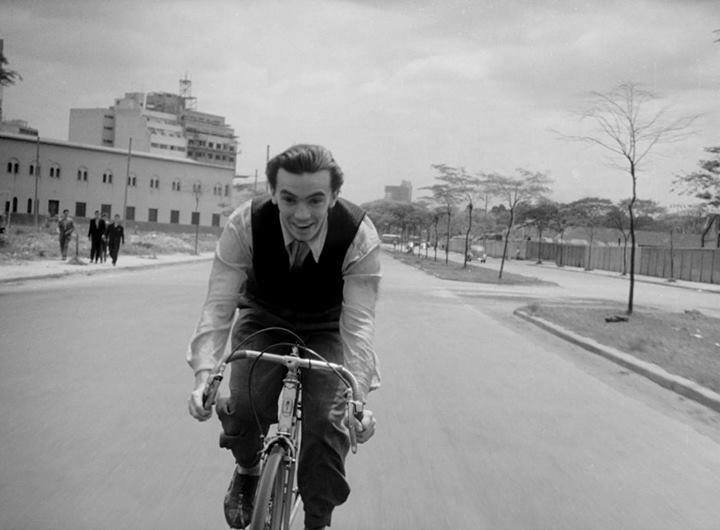 actor playwright Gianfrancesco Guarnieri rides his bycicle in the 1950s.